Being a client servicing organization, Dhankot Traders offers varied ranges of Industrial Circlips that includes External Circlips, Internal Circlips and E-Type Circlips. These are made up of high grade EN42J raw materials and in various diameters that ranges from 1.9 to 300. These are generally used for securing pinned connections in different industries like engineering, mechanical, automobile, etc. Confirming to IS: 3075, DIN 471, DIN 472 and DIN 6799 standards, our entire ranges are extremely preferred by our worldwide clients, owing to which, we are renowned as one of the top notch Dealers and Distributors of Circlips in South India. Also, our unmatched features and large usage in various industries have made us one of t he remarkable Manufacturers, Exporters and Wholesale Circlips Suppliers from India. Manufactured using advanced methods and technology, Dhankot Traders introduces large assortment of External Circlip that is made up of high quality materials and as per the international standards, so that it can match the exact expectations of customers from India, Sri Lanka, Bangladesh, etc. Dhankot Traders is a flourishing name that is known for delivering vast array of Internal Circlip in different sizes and diameters. In fact, these are also manufactured as per the demands and preferences of clients, based in India and abroad countries. 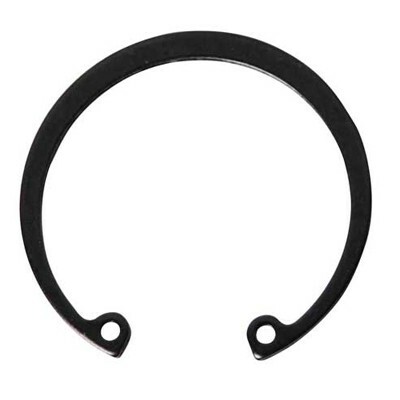 E Type Circlip is an industrial circlips that are utilized in various engineered and mechanical industries. These are prepared using superior quality materials like spring steel, stainless steel, etc.